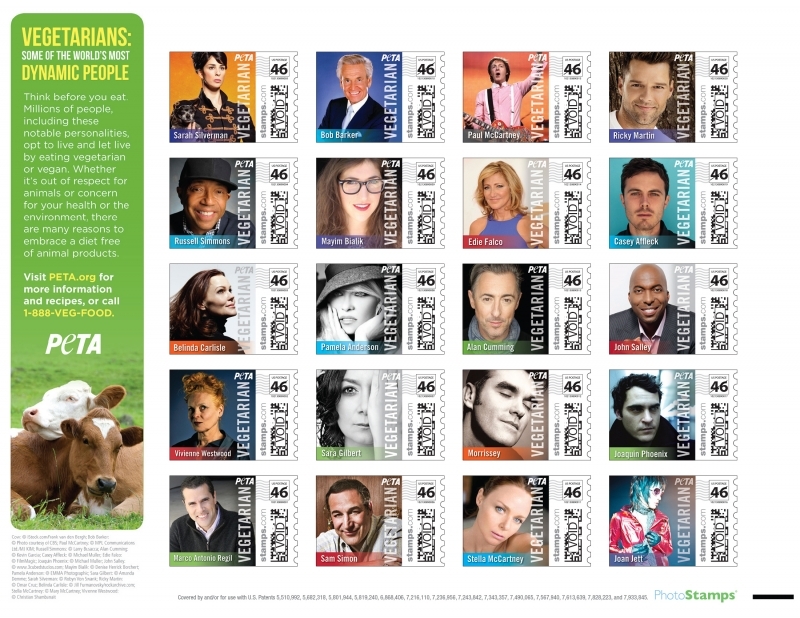 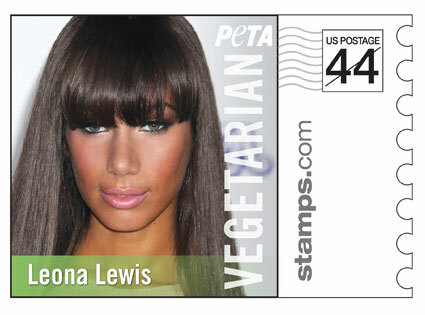 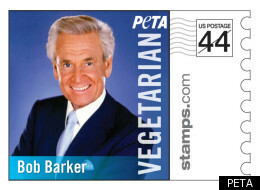 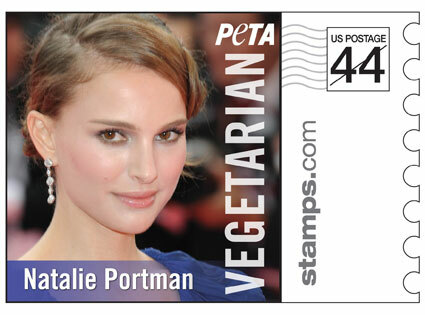 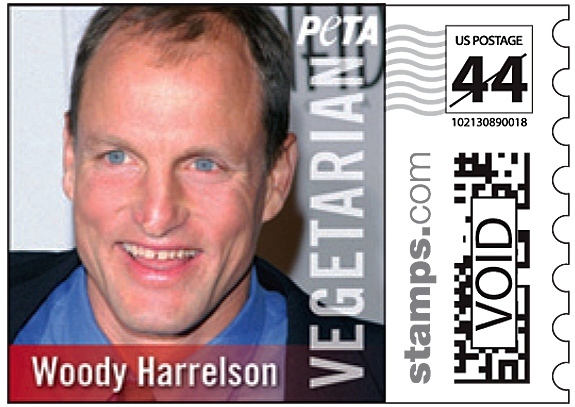 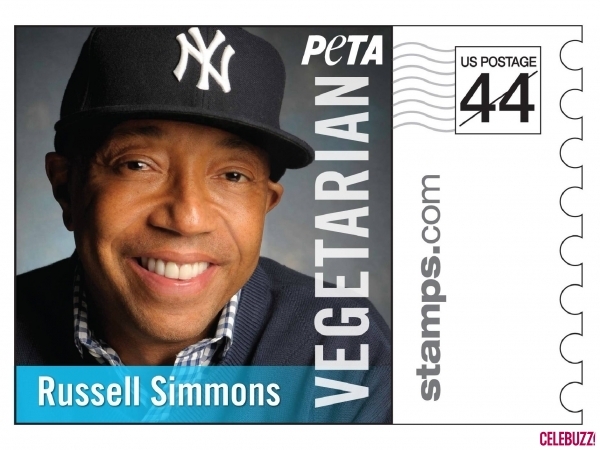 –PETA has launched a limited-edition sheet of U.S. postage PhotoStampsTM featuring famous vegetarians throughout history. 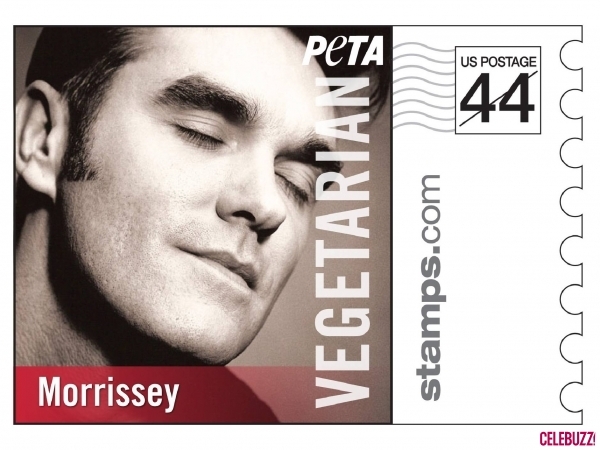 Morrissey: “I think animals look to humans for protection, and of course humans lead them into slaughterhouses, which to me is just like an image of leading children into a slaughterhouse. 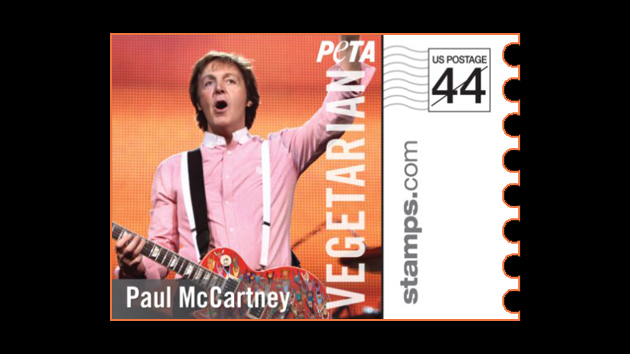 There’s no difference.” Morrissey’s stringent views on vegetarianism inspired his album with The Smiths’ titled Meat is Murder.